This Bangle is very simple. 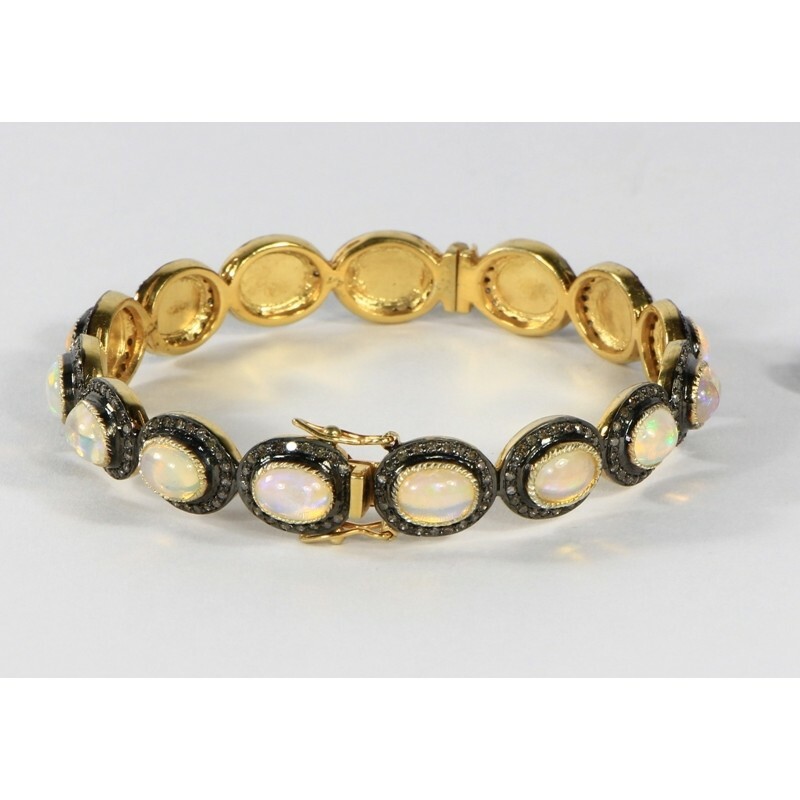 It is set in a combination of 14kt Gold and .925 Sterling Silver. 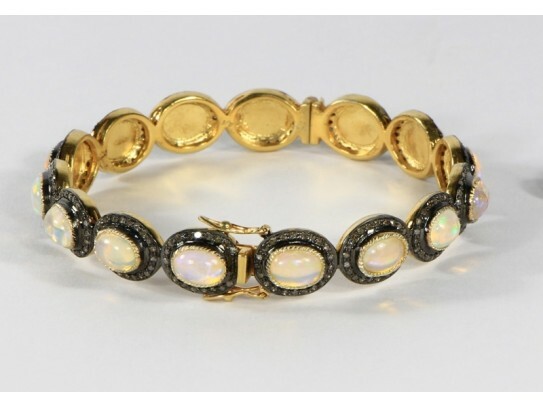 It has a combination of Diamonds and Opals. The quality and lustre of both the stones is very fine. The stones are set on Sterling Silver and the back and lock of the bangle has Gold. The bangle has an invisible clasp with opens so it is easy to wear and then it has a safety lock which secures it on the wrist. It is simple and can be worn with anything. You can even stack it with your other bangles.